Check out Heath Slater’s WWE profile here! 2004 – NWA Wildside: Heath Miller defeated Scotty Beach to win the NWA/GCW Columbus Heavyweight title. December 2006: Heath Miller signed a WWE developmental contract and was assigned to Deep South Wrestling. April 18, 2007: WWE cut ties with DSW and most of the developmental roster was moved to FCW in Florida..
June 30, 2007 – Florida Championship Wrestling: Harry Smith beat Shawn Osborne w/Heath Miller to retain the FCW Southern title. September 2, 2007 – FCW: Cory Keirn and Ted DiBiase Jr. and Robert Anthony beat Rycklon Stephens and Shawn Osborne and Heath Miller. September 15, 2007 – Florida Championship Wrestling: T.J. Wilson defeated Heath Miller and Teddy Hart in a triple threat match. September 25, 2007 – FCW: Ted DiBiase Jr. and T.J. Wilson beat Afa Jr. and Jake Hager and Keith Walker and Heath Miller in a 3-WAY. October 2, 2007 – Florida Championship Wrestling: “Handsome” Heath Miller defeated Steve Lewington in New Port Richey, Florida. October 23, 2007 – Florida Championship Wrestling: Kofi Kingston defeated “Handsome” Heath Miller. October 30, 2007 – Florida Championship Wrestling: Heath Miller and Sinn Bowdee defeated Johnny Curtis and Robert Anthony. November 6, 2007 – Florida Championship Wrestling: Heath Miller’s “Happy Hour” segment with guest, his idol Billy Kidman. November 10, 2007 – Florida Championship Wrestling: Rycklon Stephens and Chet Douglas defeated Heath Miller and G-Rilla. November 13, 2007 – Florida Championship Wrestling: “Handsome” Heath Miller defeated Billy Kidman. November 27, 2007 – Florida Championship Wrestling: Billy Kidman defeated Hade Vansen w/Heath Miller by disqualification. December 1, 2007 – Florida Championship Wrestling: Billy Kidman and Johnny Curtis defeated Hade Vansen and Heath Miller. December 11, 2007 – FCW: Heath Miller and Shawn Osborne defeated Robert Anthony and “The Rocket Scientist” G-Rilla. January 8, 2008 – FCW: Rycklon and G-Rilla defeated Sheamus and Heath Miller by disqualification. January 12, 2008 – Florida Championship Wrestling: T.J. Wilson and Billy Kidman defeated Heath Miller and Hade Vansen. January 15, 2008 – FCW: “Handsome” Heath Miller (representing FCW Champion Ted DiBiase Jr.) defeated Billy Kidman. January 19, 2008: Heath Miller was awarded the FCW Southern Heavyweight title after his partner Ted DiBiase Jr. was injured. ~~~Steve Lewington defeated the “new” FCW Southern Heavyweight champion “Handsome” Heath Miller w/Ted DiBiase Jr..
January 22, 2008 – Florida Championship Wrestling: Heath Miller defeated Billy Kidman with Ted DiBiase Jr. banned from ringside. January 26, 2008 – FCW: “NEW” FCW Southern Champion “Handsome” Heath Miller w/Ted DiBiase Jr. defeated Steve Lewington. January 29, 2008 – Florida Championship Wrestling: “Handsome” Heath Miller w/Ted DiBiase Jr. defeated Val Venis. February 5, 2008 – FCW: Heath Miller and Steve Lewington defeated Bryan Kelly and Rycklon in a Tournament to face Miz/Morrison. February 12, 2008 – FCW: Heath Miller and Steve Lewington defeated Eric Perez and Eddie Colon w/Armando Alejandro Estrada. February 15, 2008 – FCW: John Morrison and Mike Mizanin beat Heath Miller and Steve Lewington to retain the WWE Tag Team titles. February 19, 2008 – Florida Championship Wrestling: Heath Miller and Steve Lewington defeated Brandon Groom and Greg Jackson. February 23, 2008 – Florida Championship Wrestling: Heath Miller and Steve Lewington defeated Johnny Curtis and Kevin Kiley. ~~~The Puerto Rican Nightmares beat Heath Miller and Steve Lewington in the Finals to win the FCW Florida Tag Team titles! February 26, 2008 – FCW: Heath Miller and Steve Lewington w/Dave Taylor defeated The Puerto Rican Nightmares w/Angela by disqualification. March 4, 2008 – FCW: FCW Southern Heavyweight Champion “Handsome” Heath Miller (w/”Sterling” Jack Gabriel) defeated “Thoroughbred” Johnny Curtis. March 11, 2008 – FCW: Mighty Mikey and Colt “Boom Boom” Cabana defeated “Handsome” Heath Miller and “Sterling” Jack Gabriel. April 15, 2008 – FCW: Sinn Bowdee and Kafu defeated Heath Miller and Jack Gabriel. May 3, 2008 – FCW: Rycklon defeated “Handsome” Heath Miller. May 6, 2008 – FCW: Jake Hager defeated “Handsome” Heath Miller to retain the Florida Heavyweight title. June 17, 2008 – FCW: “Handsome” Heath’s Happy Hour special guest “The Canadian Bad Boy” Shawn Spears (Spears challenged Florida Heavyweight Champion Jake Hager but was interrupted by Miller after Spears claimed Hager hadn’t beaten anyone worthwhile during his 51-0 start to his career. Miller then challenged Spears to a number one contenders match), “The Canadian Bad Boy” Shawn Spears defeated “Handsome” Heath Miller in a #1 Contenders match. July 12, 2008 – FCW: Jake Hager defeated Heath Miller and Shawn Spears in a 3-WAY to retain the FCW Florida Heavyweight title. July 19, 2008 – FCW: Heath Miller and TJ Wilson defeated Charles Evans and Vic Adams. August 2, 2008 – FCW: Heath Miller defeated Mike Kruel. August 9, 2008 – FCW: Heath Miller defeated Stu Sanders. August 16, 2008 – FCW: Mike Kruel defeated Heath Miller. September 9, 2008 – FCW: Joe Hennig and Heath Miller defeated Black Pain and Tyrone Jones. September 23, 2008 – FCW: Heath Miller and Joe Hennig defeated Mike Kruel and Jack Gabriel to retain the FCW Tag Team titles. September 30, 2008 – FCW: ohnny Curtis and Taj Milano (Gabe Tuft) b Joe Hennig and Heath Miller to win the FCW Tag Team titles (Sheamus attacked Taj during his entrance, so Johnny wrestled alone until the last minute Johnny Prime ran in and helped Johnny Curtis win the titles! — After the match, Steve Keirn gave the titles back to Joe Hennig and Heath Miller out of respect to Curt Hennig). October 8, 2008 – FCW: Joe Hennig and Heath Miller defeated Mike Kruel and Jack Gabriel w/Alicia Fox. Joe Hennig and Heath Miller b Gavin Spears and Dolph Ziggler to retain the FCW Tag Team titles. October 16, 2008 – FCW: Heath Miller and Joe Hennig defeated T.J. Wilson and D.H. Smith to retain the FCW Tag Team titles. October 23, 2008 – FCW: Heath Miller and Joe Hennig defeated TJ Wilson and DH Smith w/ Natalya Neidhart. October 25, 2008 – FCW: Joe Hennig and Heath Miller defeated Drew McIntyre and Lawrence Knight. October 28, 2008 – FCW: Sheamus defeated Heath Miller to retain the FCW Title. October 30, 2008 – FCW: TJ Wilson and DH Smith w/ Natalya Neidhart defeated Sebastian Slater and Joe Hennig in a 2/3 Falls Match for the FCW Tag Titles 2-1. November 6, 2008 – FCW: Sebastian Slater defeated Kaleb O’Neal. November 13, 2008 – FCW: Sheamus cut a promo on Joe Hennig then Joe came out attacked Sheamus then Sebastian Slater came out to stop Joe, DH Smith and TJ Wilson b Joe Hennig and Sebastian Slater to retain the FCW Tag Team Titles with interference by Sheamus. November 20, 2008 – FCW: Drew McIntyre defeated Sebastian Slater and Johnny Curtis and Kalib O’Neal in a 4-WAY. February 13, 2009 – FCW: Sebastian Slater defeated Dolph Ziggler. March 13, 2009 – FCW: Tyson Kidd and Ricky Ortiz and Sebastian Slater defeated DH Smith and Trent Barretta and Caylen Croft. March 15, 2009 – FCW: Sebastian Slater defeated Paul Lloyd. March 26, 2009 – FCW: Drew McIntyre defeated Sebastian Slater to retain the FCW Heavyweight title. April 2, 2009 – FCW: Sebastian Slater defeated Mr. Tarver. April 9, 2009 – FCW: Sebastian Slater defeated Tyson Kidd. May 28, 2009 – FCW: Heath Slater defeated Yoshitatsu. June 18, 2009 – FCW: Heath Slater was in the Battle Royal won by Johnny Curtis. June 23, 2009 – Florida Championship Wrestling: Dylan Klein and Vance Archer defeated Heath Slater (wearing a cast) and Brett Dibiase. 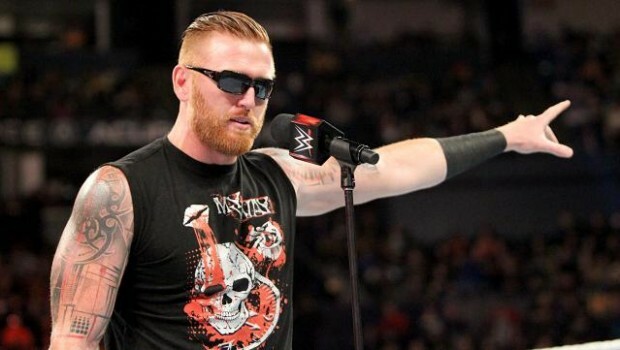 ~~~Heath Slater turned on Brett DiBiase and whacked him with his cast – Slater cut a promo on second generation wrestlers in FCW. July 15, 2009 – FCW: Joe Hennig and Heath Slater and Yoshi Tatsu defeated Fletcher Chase and Troy Jackman and Donny Marlo. July 16, 2009 – FCW: Heath Slater defeated Justin Angel. August 6, 2009 – FCW: FCW Florida Heavyweight champion Tyler Reks defeated Heath Slater. August 13, 2009 – Florida Championship Wrestling: Heath Slater defeated Tyler Reks and Joe Hennig in a 3-WAY to win the FCW Heavyweight title. October 1, 2009 – FCW: Justin Angel and Yoshi Tatsu defeated Vance Archer and Heath Slater after Angel hit the 450 splash on Archer. October 8, 2009 – FCW: Heath Slater defeated Gabriel. October 9, 2009 – SmackDown: Jimmy Wang Yang defeated Heath Slater in a dark match. October 22, 2009 – FCW: Joe Hennig vs. Heath Slater ended in a Double Countout. October 29, 2009 – FCW: Heath Slater defeated Joe Hennig after a low blow in a No Countout match. November 5, 2009 – FCW: FCW Florida Heavyweight champion Justin Angel defeated Heath Slater after hitting the 450 Splash. December 17, 2009 – FCW: Johnny Curtis and Heath Slater defeated Tyler Reks and Alberto Banderas. January 3, 2010 – FCW: Heath Slater defeated Bo Rotundo after interference from Michael Tarver. January 10, 2010 – FCW: Heath Slater defeated Duke Rotundo after interference from Michael Tarver. January 17, 2010 – FCW: Alberto Banderas defeated Heath Slater w/Michael Tarver. Christian (WWE Pro) was paired with Heath Slater (WWE Rookie) for a new television program called WWE NXT. February 23, 2010 – WWE NXT: Christian and Heath Slater defeated Carlito Colon and Michael Tarver in a tag team match. March 2, 2010 – WWE NXT: Christian was shown “mentoring” Heath Slater at the gym as they worked out together. ~~~LATER THAT NIGHT: Carlito Colon (Michael Tarver’s “Pro”) spit his apple in face of Heath Slater (Christian’s “Rookie”). March 9, 2010 – WWE NXT: Heath Slater w/Christian defeated Carlito Colon w/Michael Tarver..
March 16, 2010 – WWE NXT: Heath Slater defeated Michael Tarver – (Christian and Carlito were watching backstage). March 23, 2010 – WWE NXT: Heath Slater and Justin Gabriel defeated Wade Barrett and Skip Sheffield w/William Regal. March 30, 2010 – WWE NXT: David Otunga won an NXT battle royal to earn the right to guest host an episode of RAW. ~~~Participants: David Otunga and Justin Gabriel and Daniel Bryan and Heath Slater. ~~~Participants: Skip Sheffield and Wade Barrett and Darren Young and Michael Tarver. April 2, 2010 – WWE SmackDown: Kane said he was getting bored so he challenged the NXT rookies to an 8-on-1 Handicap match. ~~~Kane defeated the NXT Rookies by disqualification in a Handicap match when the rookies all ganged up on Kane at the end of the match. April 6, 2010 – WWE NXT: Heath Slater won a KEG challenge – Kane was his mystery reward (Kane defeated Heath Slater). April 13, 2010 – WWE NXT: Heath Slater participated in an NXT rookies “promo challenge” (which was won by Wade Barrett). ~~~Christian w/Heath Slater defeated Wade Barrett w/Chris Jericho in a singles match. April 20, 2010 – WWE NXT: Heath Slater defeated David Otunga in the 1st Round of a Rock’em Sock’em NXT Challenge. ~~~Skip Sheffield defeated Heath Slater in the 2nd Round of a Rock’em Sock’em NXT Challenge. ~~~Heath Slater defeated Chris Jericho w/Wade Barrett – – ( Jericho went nuts and threw things around and yelled at the referee ). April 26, 2010 – WWE 2010 Draft Special: Chris Jericho demanded an apology from Heath Slater for what happened on NXT. April 27, 2010 – WWE NXT: Chris Jericho and Wade Barrett defeated Christian and Heath Slater after Jericho got revenge on Slater..
May 4, 2010 – WWE NXT: Heath Slater participated in an “Obstacle Course” challenge and finished the course in 1:36. May 7, 2010 – SmackDown: Christian w/Heath Slater beat Cody Rhodes in an Intercontinental Title Tournament Semi-Final Match. May 11, 2010 – WWE NXT: Wade Barrett defeated Heath Slater..
May 18, 2010 – WWE NXT: Justin Gabriel w/Matt Hardy defeated Heath Slater w/Christian. May 24, 2010 – RAW: Josh Mathews interviewed the remaining NXT Rookies about making it to the final 4 of the competition. May 25, 2010 – WWE NXT: R-Truth and David “A-List” Otunga defeated Christian and Heath Slater..
~~~Heath Slater was later eliminated from NXT but promised there would be an encore so prepare to have your minds blown! June 1, 2010 – WWE NXT: Heath Slater was on hand for the NXT season finale where Wade Barrett was announced the winner. June 3, 2010 – Florida Championship Wrestling: NXT Season 1 defeated NXT Season 2 in a 5-on-5 match. ~~~NXT Season 1 = Skip Sheffield and David Otunga and Michael Tarver and Heath Slater. ~~~NXT Season 2 = Eli Cottonwood and Husky Harris and Percy Watson and Lucky Cannon. June 7, 2010 – WWE Viewers Choice: Wade Barrett led the other 7 NXT rookies in a shocking invasion of the RAW television show. ~~~The eight “Rookies” from NXT Season 1 showed up during a match and viciously attacked John Cena like a rabid pack of wolves. June 9, 2010 – FCW: Christian and Heath Slater vs. Mike Mizanin and Daniel Bryan was changed due to NXT’s heel turn in WWE. ~~~Christian and Mike “The Miz” Mizanin defeated Heath Slater and Daniels Bryan by disqualification when the other six NXT guys interfered. ~~~The NXT group proceeded to destroy the ringside area like they did on RAW. June 14, 2010 – RAW: The NXT group was ordered to apologize but they refused and instead demanded guaranteed WWE contracts. ~~~RAW General Manager Bret “Hitman” Hart came out and refused to give them contracts and even fired NXT winner Wade Barrett! ~~~LATER: NXT tried to attack John Cena again, but several other WWE Superstars hit the ring and chased them out of the building. ~~~LATER: The NXT guys attacked Bret Hart, stuffed him into a limousine and then rammed him into other vehicles in the parking lot. ~~~Mr. McMahon said the new General Manager asked to remain anonymous, and he would run RAW by sending Michael Cole emails. ~~~The new General Manager hired back all of the NXT members – and then each issued arrogant apologies in the middle of the ring. ~~~The Nexus (minus Wade Barrett) showed up and attacked Ricky Steamboat and physically destroyed him with all their finishers. July 13, 2010 – NXT: Nexus were invited back to NXT and participated in a 20-Man Battle Royal featuring Season 2 Pros and Rookies. .
~~~Nexus (Justin Gabriel and Heath Slater and David Otunga and Wade Barrett and Michael Tarver and Skip Sheffield) won the battle royal ! July 19, 2010 – RAW: Wade Barrett defeated Mark Henry – (After the match; Barrett called out John Cena for an in-ring truce). July 26, 2010 – RAW: The Nexus as a group surrounded the Great Khali in the ring but eventually allowed him to leave unharmed..
~~~The Nexus eliminated all seven members of the RAW B-team and promised that the same thing would happen at SummerSlam! August 9, 2010 – RAW: The Nexus attacked the Hart Dynasty backstage to get under the skin of Team WWE member Bret Hitman Hart. ~~~The Nexus attacked Mark Henry (who was set to join Team WWE) – they also took out the Great Khali in a backstage assault. ~~~Later that night; The Nexus destroyed Darren Young (the only member to lose his match) and kicked him out of the group! August 23, 2010 – RAW: Slow week for the Nexus.. Wade Barrett was put in a Six Pack Challenge at Night of Champions. ~~~LATER: The Nexus defeated Team WWE in a 5-on-5 Elimination Match which ended with Wade Barrett as the sole survivor. September 19, 2010 – Night of Champions: The Nexus interfered in the Six Pack Challenge, causing John Cena to be eliminated. ~~~Cena beat Heath Slater | Cena beat David Otunga | Cena beat Michael Tarver | Cena vs. Justin Gabriel was cut short due to the assault. September 27, 2010 – RAW: The Nexus (Justin Gabriel and Heath Slater w/The Nexus) defeated Evan Bourne and Mark Henry. October 1, 2010 – SmackDown: The Nexus invaded SmackDown and interrupted the opening match – but the Big Show came to rescue! ~~~The Nexus (Wade Barrett and Justin Gabriel and David Otunga and Michael Tarver and Heath Slater) beat The Big Show (Handicap match). ~~~MAIN EVENT: World Heavyweight champion Kane vs. John Cena ended in a No Contest with the Nexus acting as lumberjacks. ~~~MAIN EVENT: Heath Slater and the Nexus participated in a 20-Man Battle Royal (won by Wade Barrett with help from John Cena). October 24, 2010 – Bragging Rights: Wade Barrett defeated WWE Champion Randy Orton by disqualification after clever interference by John Cena. November 1, 2010 – RAW: WWE Tag Team champions Justin Gabriel and Heath Slater defeated The Hart Dynasty in a Non-title match. November 5, 2010 – SmackDown: Edge vs. Alberto Del Rio ended in a No Contest when the Nexus showed up and took over the show. ~~~MAIN EVENT: Team SmackDown defeated The Nexus in a 10-Man Tag Team Match – (Edge speared and pinned Otunga to win!). ~~~The Nexus = David Otunga and Heath Slater and Justin Gabriel and Michael McGillicutty and Husky Harris. November 12, 2010 – SmackDown: David Otunga defeated Edge with the Nexus and the SmackDown Roster acting as Lumberjacks. November 15, 2010 – Old School RAW: WWE Tag Team champions Heath Slater and Justin Gabriel defeated The Hart Dynasty (Non-title). November 21, 2010 – Survivor Series: Heath Slater and Justin Gabriel w/Nexus beat Santino Marella and Vladimir Kozlov to retain their titles. ~~~Randy Orton defeated Wade Barrett with special guest referee John Cena to retain the WWE Championship (The Nexus was banned). ~~~CONCLUSION: This meant that John Cena was fired from the WWE (in storyline) – so they did a pretend farewell to say good-bye. November 22, 2010 – RAW: John Cena gave a farewell speech but came back to screw Wade Barrett out of his rematch with Randy Orton. November 29, 2010 – King of the Ring: Mark Henry and Yoshi Tatsu defeated Heath Slater and Justin Gabriel in a Non-title match. ~~~A “fan” (John Cena) distracted the Nexus and caused them to lose the WWE Tag Team titles to Santino and Vladimir. December 13, 2010 – The Slammy Awards: Nexus leader Wade Barrett accepted the award for “Shocker of the Year” for invading RAW. ~~C.M. Punk came out and sat down next to an unconcious Cena, before putting a Nexus armband on, signifying he was their new leader! ~~~Nexus leader C.M. Punk announced that each member would make a sacrifice tonight and be officially initiated into the New Nexus. .
January 14, 2011 – SmackDown: The Big Show defeated Wade Barrett by disqualification after interference by Heath Slater and Justin Gabriel! January 21, 2011 – SmackDown: Wade Barrett named his heel group “The Corre” – with no leader and all members treated as equals. ~~~Teddy Long ended up being taken out by “unknown assailants” but The Corre became quick friends with new G.M. Vickie Guerrero. ~~~Justin Gabriel (w/Wade Barrett and Heath Slater and Ezekiel Jackson) defeated World Heavyweight champion Edge in a Non-title Match. ~~~After the match, The Corre destroyed Edge – allowing Dolph Ziggler to come in and put his foot on Edge’s chest and pose for the fans. January 30, 2011 – Royal Rumble: Heath Slater entered the Royal Rumble at #25 but was quickly eliminated by John Cena. ~~Justin Gabriel (#3, eliminated by Daniel Bryan) – Wade Barrett (#30, eliminated by Randy Orton) – Ezekiel (#36, eliminated by Kane). February 20, 2011 – Elimination Chamber: Slater and Gabriel w/Ezekiel beat Santino and Vladimir Kozlov to win the WWE Tag Team titles! February 21, 2011 – RAW: John Cena and The Miz (w/Alex Riley) defeated Justin Gabriel and Heath Slater to win the WWE Tag Team titles! February 24, 2011 – WWE Superstars: The Corre (Heath Slater and Justin Gabriel) defeated JTG and Trent Barreta in a Non-title match. March 18, 2011 – Smackdown: Kane and Big Show defeated (Champions) Heath Slater and Justin Gabriel by disqualification when the Corre interfered. March 25, 2011 – Smackdown: Wade Barrett w/The Corre defeated Kofi Kingston to win the WWE Intercontinental title. March 28, 2011 – RAW: Santino Marella (w/Kane, Big Show, Tamina and Vladmir Kozlov) defeated Justin Gabriel w/The Corre. April 1, 2011 – Smackdown: Kofi Kingston defeated (Intercontinental Champion) Wade Barrett by disqualification after the Corre interfered. April 4, 2011 – RAW: The Corre ran in and attacked The Rock and John Cena. April 8, 2011 – SmackDown: Kane and Big Show and Santino Marella and Kofi Kingston defeated The Corre. April 11, 2011 – RAW: The Corre defeated Santino Marella and Evan Bourne and Daniel Bryan and Mark Henry. April 15, 2011 – SmackDown: Ezekiel Jackson w/The Corre defeated Kofi Kingston. April 22, 2011 – SmackDown: Kane and Big Show defeated Justin Gabriel and Heath Slater w/Ezekiel to win the WWE Tag Team titles. April 25, 2011 – RAW: Heath Slater competed in a SD! vs RAW Battle Royal that Big Show and Kofi Kingston won. April 29, 2011 – SmackDown: Kane and Big Show defeated Justin Gabriel and Heath Slater to retain the WWE Tag Team titles. ~~~Ezekiel finally attacked the Corre backstage but they managed to get him down. May 13, 2011 – SmackDown: Kane defeated (WWE Intercontinental Champion) Wade Barrett by disqualification when the Corre ran in. ~~~Ezekiel Jackson ran in only to get destroyed also by the Corre. May 20, 2011 – SmackDown: Ezekiel Jackson and Kane and The Big Show defeated The Corre. May 27, 2011 – SmackDown: Ezekiel Jackson defeated Heath Slater by disqualification. June 2, 2011-Superstars: The Corre (Heath Slater and Justin Gabriel) defeated The Usos. July 15, 2011 – SmackDown: Justin Gabriel defeated Heath Slater. July 22, 2011 – SmackDown: Daniel Bryan defeated Heath Slater. July 28, 2011 – Superstars: Heath Slater defeated Trent Baretta. August 26, 2011 – SmackDown: Sin Cara defeated Heath Slater. September 1, 2011 – Superstars: Ezekiel Jackson defeated Heath Slater. September 8, 2011 – Superstars: Daniel Bryan defeated Heath Slater. September 16, 2011 – SmackDown: The Great Khali vs Heath Slater ended in a No Contest. October 13, 2011 – Superstars: Ezekiel Jackson defeated Heath Slater. November 25, 2011 – Superstars: Ted DiBiase defeated Heath Slater. November 29, 2011 – SmackDown: Heath Slater was in the Battle Royal won by Hornswoggle. December 1, 2011 – Superstars: Ted DiBiase defeated Heath Slater. December 9, 2011 – SmackDown: Zack Ryder defeated Heath Slater. December 16, 2011 – SmackDown: Ted DiBiase defeated Heath Slater. December 22, 2011-Superstars: Justin Gabriel defeated Heath Slater. January 6, 2012 – SmackDown: Hornswoggle defeated Heath Slater in a over the top rope challenge. January 13, 2012 – SmackDown: Justin Gabriel defeated Heath Slater. January 18, 2012 – NXT: Percy Watson defeated Heath Slater. January 23, 2012 – RAW: Brodus Clay defeated Heath Slater. January 25, 2012 – NXT: Heath Slater defeated Trent Baretta. February 8, 2012 – NXT: Heath Slater defeated Derrick Bateman. February 15, 2012 – NXT: Derrick Bateman and Justin Gabriel defeated Heath Slater and Johnny Curtis. March 23, 2012 – SmackDown: Brodus Clay defeated Heath Slater. March 26, 2012 – RAW: Brodus Clay defeated Heath Slater. April 6, 2012 – SmackDown: WWE Intercontinental champion The Big Show defeated Heath Slater in a non-title match. May 11, 2012 – SmackDown: Ryback defeated Heath Slater. May 24, 2012 – NXT: Percy Watson defeated Heath Slater. May 24, 2012 – Superstars: Zack Ryder defeated Heath Slater. June 1, 2012 – SmackDown: Sin Cara (Return) defeated Heath Slater. June 6, 2012 – NXT: Tyson Kidd and Justin Gabriel defeated Heath Slater and Johnny Curtis. June 11, 2012 – RAW: Vader (RETURN) defeated Heath Slater. June 15, 2012 – SmackDown: Brodus Clay defeated Heath Slater. June 22, 2012 – SmackDown: Zack Ryder defeated Heath Slater. June 28, 2012 – Superstars: Kane defeated Heath Slater. July 2, 2012 – RAW: Heath Slater defeated Doink The Clown. July 3, 2012 – SmackDown: Heath Slater was in the 20 man battle royal won by Zack Ryder. July 18, 2012 – NXT: Justin Gabriel defeated Heath Slater. July 23, 2012 – RAW: Lita defeated Heath Slater in a NO disqualification match. July 26, 2012 – Superstars: Zack Ryder defeated Heath Slater in a dark match. July 30, 2012 – RAW: Randy Orton (Return) defeated Heath Slater. August 2, 2012 – Superstars: Tyson Kidd defeated Heath Slater. August 13, 2012 – RAW: R-Truth defeated Heath Slater. August 23, 2012 – Superstars: Heath Slater defeated Alex Riley in a dark match. August 24, 2012 – SmackDown: Heath Slater defeated Sin Cara. August 25, 2012 – Saturday Morning Slam: Kofi Kingston defeated Heath Slater. August 27, 2012 – RAW: Santino Marella defeated Heath Slater. September 3, 2012 – RAW: Zack Ryder defeated Heath Slater. September 10, 2012 – RAW: Ryback defeated Heath Slater. September 16, 2012 – Night of Champions: Heath Slater was in the preshow Battle Royal won by Zack Ryder. September 17, 2012 – RAW: Brodus Clay defeated Heath Slater. September 21, 2012 – SmackDown: Brodus Clay defeated Heath Slater by disqualification. September 27, 2012 – Superstars: Heath Slater defeated Yoshi Tatsu. October 13, 2012 – Saturday Morning Slam: Sin Cara defeated Jinder Mahal w Drew McIntyre and Heath Slater. October 19, 2012 – SmackDown: Heath Slater w Drew McIntyre and Jinder Mahal defeated Brodus Clay. October 25, 2012 – Superstars: Jinder Mahal w Drew McIntyre and Heath Slater defeated Tyson Kidd. November 15, 2012 – Superstars: Heath Slater and Jinder Mahal w Drew McIntyre defeated The Usos. November 17, 2012 – Saturday Morning Slam: Heath Slater and Jinder Mahal w Drew McIntyre defeated Jimmy and Jey Uso. November 18, 2012 – Survivor Series: Jinder Mahal and Heath Slater defeated Santino Marella and Zack Ryder in the preshow. November 24, 2012 – Saturday Morning Slam: Jinder Mahal w Drew McIntyre and Heath Slater defeated Ted DiBiase. December 7, 2012 – SmackDown: Heath Slater, Jinder Mahal, and Drew McIntyre defeated Brodus Clay and the Usos. December 8, 2012 – Saturday Morning Slam: Daniel Bryan defeated Heath Slater. December 12, 2012 – Main Event: Heath Slater and Jinder Mahal defeated Tyson Kidd and Justin Gabriel. December 13, 2013 – Superstars: Drew McIntyre and Jinder Mahal w Heath Slater defeated Tyson Kidd and Justin Gabriel. December 16, 2012 – TLC: Alberto Del Rio, The Miz, and the Brooklyn Brawler defeated Heath Slater, Jinder Mahal, and Drew McIntyre. December 17, 2012 – RAW: Tommy Dreamer, The Miz and Alberto Del Rio defeated 3MB. December 19, 2012 – Tribute to the Troops: WTC Kane and Daniel Bryan, R-Truth defeated 3MB. December 31, 2012 – RAW: WWE world tag team champions Kane and Daniel Bryan defeated Drew McIntyre and Heath Slater to retain the titles. January 4, 2013 – SmackDown: The Miz defeated Heath Slater. January 7, 2013 – RAW: Randy Orton defeated Heath Slater. January 12, 2013 – WWE Live Event: Justin Gabriel and Bo Dallas defeated Heath Slater and Jinder Mahal. January 21, 2013 – RAW: Ryback defeated 3MB in a “3-on-1” handicap match. January 24, 2013 – NXT: Oliver Grey and Adrian Neville defeated Heath Slater and Drew McIntyre. February 2, 2013 – Saturday Morning Slam: Justin Gabriel defeated Heath Slater. February 7, 2013 – Superstars: Zack Ryder defeated Heath Slater. February 15, 2013 – SmackDown: Brodus Clay and Tensai defeated Heath Slater and Jinder Mahal. February 21, 2013 – Superstars: Sin Cara defeated Drew McIntyre. March 4, 2013 – RAW: Brodus Clay and Tensai defeated Heath Slater and Drew McIntyre. March 8, 2013 – SmackDown: WWE tag team champions Kane and Daniel Bryan defeated Drew McIntyre and Heath Slater in a non-title match. March 11, 2013 – RAW: Ryback defeated Heath Slater. March 25, 2013 – RAW: Ryback defeated Drew McIntyre, Heath Slater, and Jinder Mahal in a “3-on-1” handicap match. March 30, 2013 – Saturday Morning Slam: Kofi Kingston defeated Heath Slater. May 13, 2013 – RAW: The Miz defeated Heath Slater. May 27, 2013 – RAW: The Great Khali, Brodus Clay, and Tensai defeated the 3 Man Band in a 6-man tag team match. May 29, 2013 – Main Event: Brodus Clay, Tensai, and R-Truth defeated 3MB. June 13, 2013 – Superstars: Heath Slater defeated Zack Ryder. June 22, 2013 – Live Event: Ted DiBiase Jr. defeated Heath Slater. July 5, 2013 – Live Event: Justin Gabriel defeated Heath Slater. July 10, 2013 – Main Event: The Great Khali, Tensai, and Brodus Clay defeated 3MB. July 17, 2013 – Main Event: Heath Slater vs. Justin Gabriel ended in a no contest. July 18, 2013 – Superstars: The Miz defeated Heath Slater. July 24, 2013 – Superstars: The Usos defeated Heath Slater and Drew McIntyre. August 5, 2013 – RAW: Christian defeated Heath Slater. August 9, 2013 – SmackDown: Kane defeated 3MB in a “3-on-1” handicap match. August 14, 2013 – Superstars: Zack Ryder defeated Heath Slater. August 26, 2013 – Superstars: The Usos and Justin Gabriel defeated 3MB. September 6, 2013 – SmackDown: The Big Show defeated Three Man Band in a “3-on-1″ handicap match. September 11, 2013 – Main Event: The Prime Time Players defeated Heath Slater and Jinder Mahal. September 14, 2013 – Live Event: Rob Van Dam defeated Heath Slater. September 29, 2013 – Live Event: Kofi Kingston and R-Truth defeated Heath Slater and Jinder Mahal. October 9, 2013 – Main Event: 3MB defeated Brodus Clay and Tensai in a handicap match. October 16, 2013 – Main Event: Santino Marella, Brodus Clay and Tensai defeated 3MB. October 21, 2013 – RAW: Santino Marella defeated Heath Slater. October 30, 2013 – Main Event: Santino Marella defeated Heath Slater w/ Drew McIntyre and Jinder Mahal. November 13, 2013 – Main Event: The Union Jacks (Heath Slater and Drew McIntyre) defeated The Prime Time Players. January 29, 2014 – Main Event: The Usos and Big E defeated 3MB. February 8-9, 2014 – Live Event: El Torito and Los Matadores defeated 3MB. February 25, 2014 – Main Event: Cody Rhodes, Goldust, El Torito and Los Matadores defeated Curtis Axel, Ryback and 3MB. March 8-9, 2014 – Live Event: Mark Henry defeated Heath Slater. March 22, 2014 – Live Event: Sin Cara defeated Heath Slater. April 3, 2014 – Superstars: Heath Slater defeated Kofi Kingston. April 18, 2014 – Live Event: Goldust defeated Heath Slater. April 19, 2014 – Live Event: Sami Zayn defeated Heath Slater. April 26-27, 2014 – Live Event: Adam Rose defeated Heath Slater. May 15, 2014 – Live Event: Heath Slater defeated Brodus Clay. May 16, 2014 – SmackDown: El Torito defeated Heath Slater. May 19, 2014 – RAW: Alexander Rusev defeated Heath Slater. May 21, 2014 – Live Event: Xavier Woods and R-Truth defeated Heath Slater and Drew McIntyre. June 6-7, 2014 – Live Event: Adam Rose defeated Heath Slater. June 13, 2014 – Superstars: Adam Rose defeated Heath Slater. June 14, 2014 – Live Event: Los Matadores defeated Heath Slater and Hornswoggle. June 15, 2014 – Live Event: Los Matadores and El Torito defeated Heath Slater, Damien Sandow and Hornswoggle. June 16, 2014 – RAW: Rusev defeated Heath Slater. June 21-22, 2014 – Live Event: Los Matadores and El Torito defeated Heath Slater, Tyson Kidd and Hornswoggle. June 27, 2014 – Superstars: Adam Rose defeated Heath Slater. July 18, 2014 – Smackdown! : Adam Rose defeated Heath Slater in a dark match. July 24, 2014 – Superstars: Adam Rose defeated Heath Slater. July 26-27, 2014 – Live Event: Diego, Tyson Kidd and El Torito defeated Hornswoggle, Heath Slater and Titus O’Neil. August 16, 2014 – Live Event: Adam Rose defeated Heath Slater. September 5, 2014 – SmackDown: Jimmy Uso defeated Heath Slater. September 19, 2014 – SmackDown: Adam Rose defeated Heath Slater. October 9, 2014 – Superstars: Zack Ryder defeated Heath Slater. October 14, 2014 – Main Event: Kofi Kingston defeated Heath Slater in a dark match. October 31, 2014 – SmackDown: Ryback defeated Heath Slater. November 7, 2014 – Superstars: Jack Swagger defeated Heath Slater. November 13, 2014 – Superstars: Big E defeated Heath Slater. November 17, 2014 – RAW: WWE United States champion Rusev defeated Heath Slater in a non-title match. February 3, 2015 – Main Event: Luke Harper defeated Heath Slater in a dark match. February 15, 2015 – Live Event: Los Matadores and El Torito defeated Heath Slater, Fandango, and Hornswoggle. February 17, 2015 – Main Event: Sin Cara and Kalisto defeated Heath Slater and Curtis Axel. March 7-8, 2015 – Live Event: Sin Cara defeated Heath Slater. March 14-15, 2015 – Live Event: The Prime Time Players defeated Heath Slater and Adam Rose. March 21-22, 2015 – Live Event: Los Matadores defeated Heath Slater and Curtis Axel. March 23, 2015 – Main Event: Fandango w Rosa Mendes defeated Heath Slater. March 28, 2015 – Wrestlemania Fan Axxess: Curtis Axel defeated Heath Slater. April 3, 2015 – Superstars: The Prime Time Players defeated Heath Slater and Adam Rose in a dark match. April 7, 2015 – Main Event: Mark Henry defeated Heath Slater. April 14-16, 2015 – Live Event: The Prime Time Players defeated Heath Slater and Curtis Axel. April 17, 2015 – Superstars: Zack Ryder defeated Heath Slater. April 17-18, 2015 – Live Event: The Prime Time Players and The Lucha Dragons defeated The Ascension, Curtis Axel and Heath Slater. May 1-2, 2015 – Live Event: The Prime Time Players and Jimmy Uso defeated Heath Slater and The Ascension. May 3, 2015 – Live Event: Sami Zayn defeated Heath Slater. May 8-9, 2015 – Live Event: Damien Sandow defeated Heath Slater. May 15, 2015 – Superstars: Kalisto defeated Heath Slater. May 15, 2015 – Live Event: Damien Sandow defeated Heath Slater. May 16, 2015 – Live Event: Damien Sandow and Zack Ryder defeated Bo Dallas and Heath Slater. May 21, 2015 – SmackDown: Curtis Axel and Damien Sandow defeated Adam Rose and Heath Slater. May 22, 2015 – Superstars: Curtis Axel and Damien Sandow defeated Adam Rose w Rosa Mendes and Heath Slater. May 22, 2015 – Live Event: Curtis Axel defeated Heath Slater. The Prime Time Players defeated Bo Dallas and Heath Slater. May 23-24, 2015 – Live Event: Damien Sandow and Curtis Axel defeated Heath Slater and Bo Dallas. The Prime Time Players defeated Bo Dalals and Heath Slater. May 26, 2015 – Main Event: Zack Ryder defeated Heath Slater. May 29, 2015 – Superstars: Heath Slater defeated Adam Rose w Rosa Mendes. May 30, 2015 – Live Event: Curtis Axel defeated Heath Slater and Tyler Breeze in a dark match. June 12, 2015 – Main Event: NXT champion Kevin Owens defeated Heath Slater to retain the title. June 19-21, 2015 – Live Event: Curtis Axel and Damien Sandow defeated Heath Slater and The Miz. June 20, 2015 – Main Event: King Barrett defeated Heath Slater. June 25, 2015 – Superstars: The Lucha Dragons defeated Heath Slater and Bo Dallas. June 27, 2015 – Live Event; Curtis Axel and Damien Sandow defeated Heath Slater and Luke Harper. July 4, 2015 – Main Event: Fandango defeated Heath Slater. July 4-5, 2015 – Live Event: Curtis Axel and Damien Sandow defeated Heath Slater and Brad Maddox. July 18, 2015 – Live Event: Curtis Axel and Damien Sandow defeated Heath Slater and Stardust. July 18, 2015 – Main Event: Curtis Axel and Damien Sandow defeated Heath Slater and Brad Maddox in a dark match. July 23, 2015 – Superstars: R-Truth defeated Heath Slater. August 1, 2015 – Main Event: Colin Cassady and Enzo Amore defeated Heath Slater and Brad Maddox in a dark match. August 2, 2015 – Live Event: Curtis Axel, Damien Sandow and Fandango defeated Adam Rose, Brad Maddox and Heath Slater. August 6, 2015 – Superstars: Fandango defeated Heath Slater. August 15-16, 2015 – Live Event: Jimmy Uso defeated Heath Slater. August 22, 2015 – Main Event: Hornswoggle defeated Heath Slater in a dark match. August 27, 2015 – Superstars: Zack Ryder defeated Heath Slater. August 29-30, 2015 – Live Event: R-Truth defeated Heath Slater. September 3, 2015 – Smackdown: Zack Ryder defeated Heath Slater in a dark match. September 12-13, 2015 – Live Event: Jack Swagger defeated Heath Slater. Jimmy Uso defeated Heath Slater. Mark Henry defeated Heath Slater. September 25, 2015 – Superstars: R-Truth defeated Heath Slater. October 3-4, 2015 – Live Event: Fandango defeated Heath Slater. October 10, 2015 – Live Event: Jimmy Uso defeated Heath Slater. Neville defeated Heath Slater. October 11, 2015 – Live Event: Jimmy Uso defeated Heath Slater. Neville defeated Heath Slater. Mark Henry defeated Heath Slater. October 17, 2015 – Live Event: Ryback defeated Heath Slater. R-Truth defeated Heath Slater. October 18, 2015 – Live Event: Ryback defeated Heath Slater. October 23, 2015 – Superstars: Fandango defeated Heath Slater. October 31, 2015 – Main Event: Curtis Axel and Damien Sandow defeated Fandango and Heath Slater in a dark match. November 1, 2015 – Live Event: Curtis Axel, Damien Sandow and Zack Ryder defeated The Ascension and Heath Slater. November 7, 2015 – Main Event: Zack Ryder defeated Heath Slater. November 5-8, 2015 – Live Event: Damien Sandow defeated Heath Slater. November 11-14, 2015 – Live Event: Damien Sandow and Fandango defeated Heath Slater and Adam Rose. November 14, 2015 – Main Event: Damien Sandow defeated Heath Slater. November 28, 2015 – Main Event: Ryback defeated Heath Slater. December 4, 2015 – Superstars: Zack Ryder defeated Heath Slater. December 6, 2015 – Live Event: Neville defeated Heath Slater. December 18, 2015 – Superstars: Fandango defeated Heath Slater. December 19, 2015 – Main Event: The Dudley Boyz defeated Heath Slater and Adam Rose. December 26-27, 2015 – Live Event: Damien Sandow, Curtis Axel, Fandango, Darren Young and Zack Ryder defeated Heath Slater, Los Matadores and The Ascension. January 2, 2016 – Main Event: R-Truth defeated Heath Slater. January 8-10, 2016 – Live Event: R-Truth defeated Heath Slater. January 14, 2016 – SmackDown: Heath Slater, Adam Rose, Bo Dallas, and Curtis Axel defeated Jack Swagger, Zack Ryder, Goldust, and Damien Sandow in an 8-man tag team match. January 16-17, 2016 – Live Event: The Social Outcasts (Adam Rose, Bo Dallas, Curtis Axel & Heath Slater) defeated Los Matadores (Diego & Fernando) & The Ascension (Konnor & Viktor). January 22, 2016 – Main Event: The Social Outcasts (Curtis Axel and Heath Slater) defeated The Dudley Boyz (Bubba Ray Dudley ad D-Von Dudley). January 30-31, 2016 – Live Event: Damien Sandow and R-Truth defeated Curtis Axel and Heath Slater. February 5-6, 2016 – Live Event: The Dudley Boyz and Titus O’Neil defeated Fandango, Adam Rose and Heath Slater. February 12, 2016 – Live Event: Heath Slater defeated Zack Ryder. February 13-14, 2016 – Live Event: The Dudley Boyz (Bubba Ray Dudley and D-Von Dudley) defeated The Social Outcasts (Adam Rose and Heath Slater). February 15, 2016 – RAW: Heath Slater defeated Zack Ryder. February 19, 2016 – Main Event: The New Day (Big E, Kofi Kingston and Xavier Woods) defeated The Social Outcasts (Adam Rose, Curtis Axel and Heath Slater). February 25, 2016 – SmackDown: R-Truth defeated Heath Slater. February 27-28, 2016 – Live Event: The Social Outcasts (Bo Dallas and Heath Slater) defeated Damien Sandow and Darren Young. March 4, 2016 – Main Event: Ryback defeated Heath Slater w The Social Outcast. March 5, 2016 – Live Event: R-Truth defeated Heath Slater. March 19-20, 2016 – Live Event: Damien Sandow, Darren Young and Fandango defeated Stardust, Adam Rose and Heath Slater. April 11, 2016 – RAW: Heath Slater and Curtis Axel are defeated by the Usos in a #1 contenders tag team tournament match. April 14, 2016 – Live Event: Goldust defeated Heath Slater. April 19-23, 2016 – Live Event: Darren Young and Zack Ryder defeated Heath Slater and Bo Dallas. May 6, 2016 – Superstars: Apollo Crews defeated Heath Slater (w/Bo Dallas & Curtis Axel). May 21, 2016 – Live Event: Sami Zayn defeated Heath Slater. July 4, 2016 – RAW: Big Cass and Enzo Amore defeated The Social Outcasts (Bo Dallas and Curtis Axel) w Heath Slater. July 5, 2016 – Smackdown: Darren Young defeated Heath Slater in a dark match. July 19, 2016 – WWE Draft Live Special: Heath Slater did not get drafted and said that he was a free agent and was going to take Indy wrestling bookings. This is a story line, as he did not get released but will take Indy wrestling bookings. July 26, 2016 – SmackDown Live: Heath Slater asked Shane McMahon as the biggest free agent in the business to put him in the main event for tonight in making it a 7-way match. Shane McMahon said that he was looking at the biggest free agent and Rhyno came in and Gored Heath Slater. August 1, 2016 – RAW: Jinder Mahal defeated Heath Slater to earn a Monday Night Raw contract. August 2, 2016 – SmackDown Live: Heath Slater asked Daniel Bryan for a match and Daniel Bryan replied by saying you will get one next week on Smackdown Live, if he wins he will get a contract. Rhyno gores Heath Slater in the office and Daniel Bryan announces that Rhyno will be his opponent next week. August 9, 2016 – SmackDown Live: Rhyno defeated Heath Slater. August 15, 2016 – RAW: Heath Slater said he could have a contract to RAW if he defeated Brock Lesnar. The match never started as Brock Lesnar demolished Heath Slater with an F5 an suplexes. August 16, 2016 – SmackDown Live: Heath Slater defeated Randy Orton by disqualification. Randy Orton gave Heath Slater suplexes and a RKO. August 27-28, 2016 – Live Event: Apollo Crews defeated Heath Slater. August 30, 2016 – Smackdown Live: Heath Slater and Rhyno defeated The Head Bangers (Thrasher and Mosh) in the 1st round of the tag team titles tournament. September 6, 2016 – SmackDown Live: Heath Slater and Rhyno defeated The Hype Bros (Mojo Rawley and Zack Ryder) in the semi-finals. September 11, 2016 – Backlash: Heath Slater and Rhyno defeated The Uso’s to win the tournament and 1st ever SmackDown Tag Team titles. September 13, 2016 – SmackDown Live: Heath Slater and Rhyno defeated The Ascension to retain the tag team titles. September 17-19, 2016 – Live Event: Heath Slater and Rhyno defeated Jimmy and Jey Uso & Fandango and Tyler Breeze in a 3-way tag team match to retain the tag team titles. September 22, 2016 – Main Event: WWE tag team champions Heath Slater and Rhyno defeat Breezango (Fandango and Tyler Breeze) in a non-title match. September 27, 2016 – SmackDown Live: The Ascension (Konnor & Viktor) & The Usos (Jey Uso and Jimmy Uso) defeated American Alpha (Chad Gable & Jason Jordan), Heath Slater and Rhyno. October 1-3, 2016 – Live Event: Heath Slater and Rhyno defeated The Usos to retain the SmackDown tag team titles. October 7, 2016 – Main Event: WWE SmackDown tag team champions Heath Slater and Rhyno defeated The Ascension in a non-title match. October 8-10, 2016 – Live Event: Heath Slater and Rhyno defeated The Usos to retain the SmackDown tag team titles. October 16, 2016 – Live Event: Heath Slater & The Hype Bros (Mojo Rawley & Zack Ryder) defeated Simon Gotch & The Ascension (Konnor & Viktor). October 17, 2016 – Live Event: Heath Slater & The Hype Bros (Mojo Rawley & Zack Ryder) defeats Konnor & The Vaudevillains (Aiden English & Simon Gotch). October 18, 2016 – SmackDown Live: The Miz w Maryse & The Spirit Squad (Kenny and Mikey) defeated Heath Slater, Rhyno and Dolph Ziggler. October 22-24, 2016 – Live Event: Heath Slater and Rhyno defeated The Usos to retain the SmackDown Live tag team titles. November 4, 2016 – Main Event: SmackDown Live tag team champions Heath Slater and Rhyno defeated Breezango (Fandango and Tyler Breeze) in a non-title match. November 26-28, 2016 – Live Event: Heath Slater and Rhyno defeated Breezango (Fandango and Tyler Breeze) to retain the tag titles. December 4, 2016 – TLC: The Wyatt Family (Bray Wyatt and Randy Orton) defeated Heath Slater and Rhyno to win the SmackDown Live tag team titles. December 6, 2016 – SmackDown Live: he Wyatt Family (Bray Wyatt and Randy Orton) defeated Heath Slater and Rhyno to retain the SmackDown Live tag team titles. June 5, 2017 – RAW: Cesaro and Sheamus defeated Heath Slater and Rhyno to retain the RAW tag team titles. June 12, 2017 – RAW: Heath Slater and Rhyno defeated The Miz and The Bear. June 26, 2017 – RAW: The Miz & The Miztourage (Bo Dallas and Curtis Axel) defeated Dean Ambrose, Heath Slater and Rhyno. June 28, 30, 2017 – Live Event: Cesaro and Sheamus defeated Heath Slater and Rhyno to retain the tag titles. July 3, 2017 – Live Event: The Miz defeated Heath Slater to retain the Intercontinental title. July 8, 2017 – Live Event: Cesaro and Sheamus defeated Heath Slater and Rhyno, The Club (Karl Anderson and Luke Gallows) & The Hardy Boyz (Jeff Hardy and Matt Hardy) in a 4-way tag team match to retain the tag titles. July 14, 2017 – Live Event: Apollo Crews, Heath Slater and Rhyno defeated Bo Dallas, Curt Hawkins and Elias Samson. July 21, 2017 – Live Event: The Club (Karl Anderson and Luke Gallows) defeated Heath Slater and Rhyno. July 28-30, 2017 – Live Event: Cesaro and Sheamus defeated Heath Slater and Rhyno to retain the tag titles. August 26, 2017 – Main Event: Heath Slater defeated Dash Wilder. September 14-15, 2017 – Live Event: Heath Slater was in the #1 contenders battle royal for the Intercontinental title won by Jason Jordan. September 22, 2017 – Main Event: Heath Slater defeated Dash Wilder. September 22, 2017 – Live Event: Goldust, Heath Slater and Rhyno defeated Curt Hawkins, Darren Young and Dash Wilder. October 6, 2017 – Main Event: Heath Slater defeated Dash Wilder. October 20, 2017 – Main Event: Rhyno w Heath Slater defeated Dash Wilder. November 17, 2017 – Main Event: Heath Slater w Rhyno defeated Curt Hawkins. December 15, 2017 – Main Event: Rhyno w Heath Slater defeated Curt Hawkins. December 25, 2017 – RAW: Kane defeated Heath Slater w Rhyno. January 1, 2018 – RAW: Braun Strowman defeated Rhyno and Heath Slater. Strowman gave them several powerslams after the match. January 15, 2018 – RAW: Matt Hardy defeated Heath Slater w Rhyno. January 19, 2018 – Main Event: Rhyno w Heath Slater defeated Curt Hawkins. January 22, 2018 – RAW 25th Anniversary Show: Heath Slater and Rhyno vs. Titus Worldwide (Apollo Crews and Titus O’Neil) ended in a no contest, leading to The Dudley Boys giving Heath Slater a 3D true the table. January 28, 2018 – Royal Rumble: Heath Slater was in the Royal Rumble match won by Shinsuke Nakamura. February 2, 2018 – Live Event: The Revival (Dash Wilder and Scott Dawson) defeated Heath Slater and Rhyno. February 11, 2018 – Live Event: Balor Club (Karl Anderson & Luke Gallows), Heath Slater and Rhyno defeated Miztourage (Bo Dallas & Curtis Axel) & The Revival (Dash Wilder and Scott Dawson). February 16, 2018 – Main Event: Heath Slater w Rhyno defeated Curt Hawkins. March 23, 2018 – Main Event: Heath Slater w Rhyno defeated Curt Hawkins. April 8, 2018 – WrestleMania 34 Kickoff: Heath Slater was in the Andre The Giant Memorial battle royal won by Matt Hardy. April 9, 2018 – RAW: The Authors Of Pain (Akam and Rezar) defeated Heath Slater and Rhyno. April 27, 2018 – Greatest Royal Rumble: Heath Slater was in the Royal Rumble match at #36 but was won by Braun Strowman. May 15-18, 2018 – Live Event: The Deleters Of Worlds (Bray Wyatt and Matt Hardy) defeated Heath Slater and Rhyno & The B-Team (Bo Dallas and Curtis Axel) in a 3-way tag team match to retain the tag titles. June 4, 2018 – RAW: The B-Team (Bo Dallas & Curtis Axel) defeated Breezango (Fandango & Tyler Breeze) and Dolph Ziggler & Drew McIntyre and Heath Slater & Rhyno and The Ascension (Konnor & Viktor) and The Revival (Dash Wilder & Scott Dawson) and Titus Worldwide (Apollo Crews & Titus O’Neil) in a tag team battle royal to become #1 contenders for the RAW tag team titles. June 11, 2018 – RAW: The B-Team (Bo Dallas and Curtis Axel) defeated Heath Slater and Rhyno. June 15, 2018 – Live Event: The Authors Of Pain (Akam and Rezar) defeated Heath Slater and Rhyno. June 29, 2018 – Live Event: The Authors Of Pain (Akam and Rezar) defeated Heath Slater and Rhyno. June 30, 2018 – Live Event: The Authors Of Pain (Akam and Rezar) defeated Heath Slater and Rhyno & Titus Worldwide (Apollo Crews and Titus O’Neil) in a 3-way tag team match. July 5, 2018 – Main Event: The Ascension (Konnor and Viktor) defeated Heath Slater and Rhyno. July 21-22, 2018 – Live Event: The B-Team (Bo Dallas and Curtis Axel) defeated Heath Slater and Rhyno to retain the tag team titles. August 16, 2018 – Main Event: Heath Slater and Rhyno defeated The Ascension (Konnor and Viktor). August 24, 2018 – Main Event: Mojo Rawley defeated Rhyno w Heath Slater. October 12, 2018 – Live Event: The Authors Of Pain (Akam and Rezar) defeated Heath Slater and Rhyno. October 19, 2018 – Main Event: Konnor w Viktor defeated Rhyno w Heath Slater. November 2, 2018 – Main Event: The B-Team (Bo Dallas and Curtis Axel) defeated Heath Slater and Rhyno. November 12, 2018 – RAW: Bobby Roode & Chad Gable vs. Heath Slater & Rhyno vs. The Ascension (Konnor & Viktor) vs. The B-Team (Bo Dallas & Curtis Axel) vs. The Lucha House Party (Gran Metalik, Kalisto & Lince Dorado) vs. The Revival (Dash Wilder & Scott Dawson) in a battle royal ended in a no contest. Bobby Roode & Chad Gable defeated Heath Slater & Rhyno and The Ascension (Konnor & Viktor) and The B-Team (Bo Dallas & Curtis Axel) and The Lucha House Party (Gran Metalik, Kalisto & Lince Dorado) and The Revival (Dash Wilder & Scott Dawson) in a battle royal to qualify for the RAW Survivor Series team. December 3, 2018 – RAW: Heath Slater defeated Rhyno in a looser is fired match. December 10, 2018 – RAW: Heath Slater was the referee between the Seth Rollins vs. Baron Corbin match. December 17, 2018 – RAW: Heath Slater was the referee in the handicap match. December 24, 2018 – RAW: Heath Slater defeated Jinder Mahal w The Singh Brothers by disqualification. Rhyno returned and gored Jinder Mahal. December 26, 2018 – RAW: Heath Slater was in the #1 contenders battle royal for the Intercontinental title won by Apollo Crews.